DII Cotton Lake House Fish Oven Mitts, 6 X 16.5 Set of 2, Machine Washable and Heat Resistant for Kitchen Cooking and Baking by DII at Turuya 7. MPN: CAMZ34778. Hurry! Limited time offer. Offer valid only while supplies last. 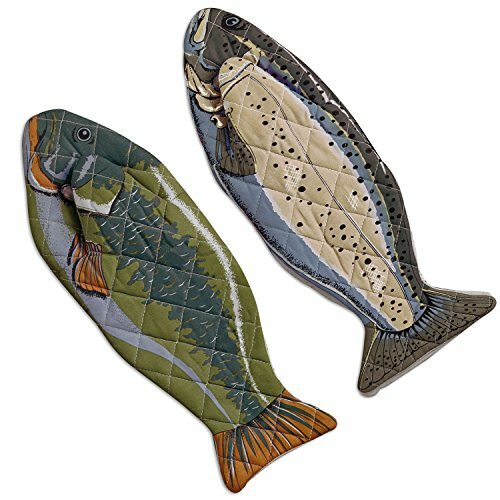 DII fish oven mitts come in a set of two designs 6x16.5'', machine washable and offer full protection for your hand and wrist when handling hot items.